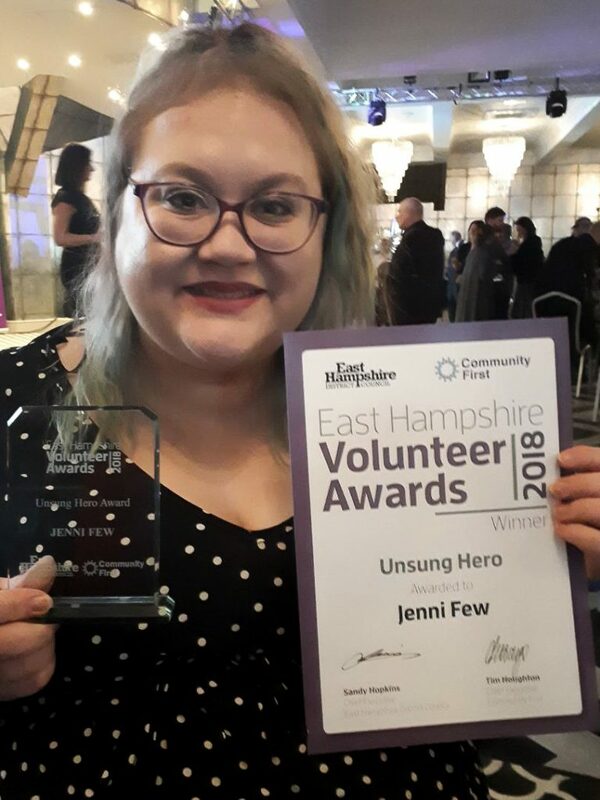 Jenni Few, from East Hampshire won the Unsung Hero Award at the East Hampshire Volunteer Awards on Thursday 8 November. Jenni deservingly won the award at the Old Thorns Hotel after years of volunteering for local groups as well as being key to many Radian projects. In 2014 Radian in partnership with local charity Music Fusion set up a music project to engage with youths in the local community. Jenni helped the project produce a music album of five tracks, which covered different aspects of anti-social behaviour. Jenni went on to secure volunteering opportunities with Petersfield group ‘Embrace Change’ and has been volunteering and performing with Havant based charity ‘Music Fusion’ since the initial project. After receiving the award, Jenni said, “I am so honoured that I have won the Unsung Hero Award. I love volunteering so much and have been doing it for so long that it has become a way of life for me. I enjoy helping others, it makes me feel so much better in myself and it was heart-warming to be regognised for the work I have been doing over the years with Radian, Music Fusion and Embrace Change. The East Hampshire Volunteer Awards are held each year by local charity Community First and the East Hampshire District Council. The awards recognise the time and energy given by volunteers to organisations across the district and is an opportunity to celebrate the dedication and enthusiasm of local volunteers who make such a difference to the lives of so many residents.